I love the first of the year when I can try out new methods to inspire me and renew my commitment to living a healthier lifestyle. 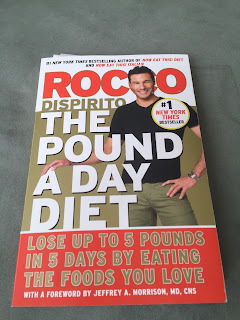 This year I picked Rocco Dispirito’s The Pound A Day Diet to explore. There is lots to like about this book. It is definitely designed to help you get organized. It lays out clearly a weekly plan with all meals and snacks accounted for to cover a 28 day program. The “why” of the program is explained in terms of the particular foods chosen, the goal of the calories per day and the psychology of enjoying a higher calorie day each week as part of the overall program. The challenges come when you actually start implementing the plan. The first thing I found is that the grocery lists provided do not always map to the actual meal plan and recipes. I discovered it was better to go to the recipe and make my lists; otherwise I ended up buying way too much or didn’t have the right foods on hand. The second thing I found in preparing the meals and snacks each day is that it requires a “from scratch” approach each time you eat. This takes a lot of time and also does not account for leftovers. This works well if you have a family of four eating each meal or have the time to commit to assembling each meal. I found I have to modify the plan. We ended up eating leftovers from the night before every other day for lunch, which made it much more doable. I also ended up focusing on the snacks that could be made ahead of time, still being mindful of the overall calorie count. This made more work for me. You can tell a lot about a chef from his recipes. 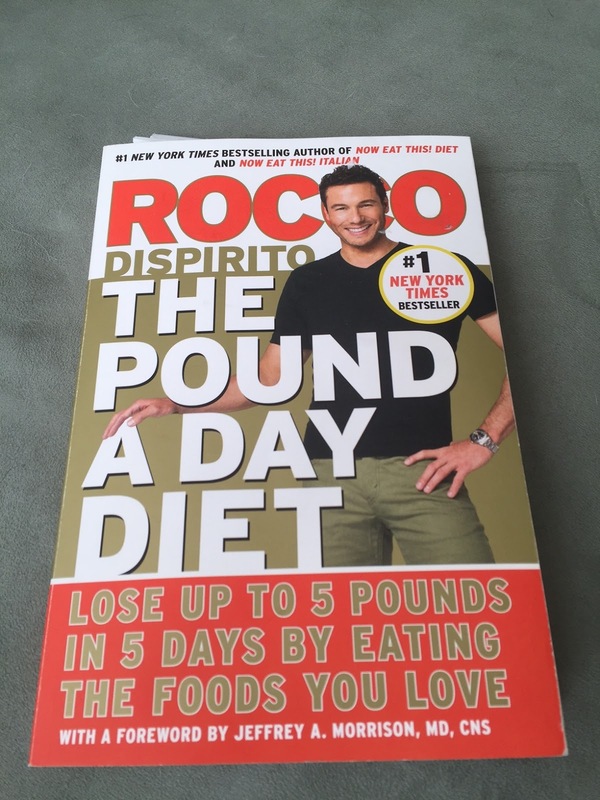 The Pound A Day Diet shows that Rocco Dispirito has a sweet tooth. Most snacks are sweet and dessert like. It is also obvious that he is Italian—there are many pasta recipes! Although I like desserts and pasta they are not things I crave everyday, several times a day. I ended up wanting more variety. Miracle Noodles are a great find! An additional way for you to get organized for right-sized eating and long-term healthy eating, no matter what diet plan you choose, is to invest in healthy lifestyle dinnerware that uses the psychology of eating and subtle serving sizes in its very design. Livliga is the only dinnerware that does this! A great way to invest in real change and a positive mindset. Here's to Living Vibrant in 2016!